Sew Many Ways...: Tool Time Tuesday...and a New Button!!! Tool Time Tuesday...and a New Button!!! It's Tool Time Tuesday and I have something wonderful to share before I get into the tool of the day. A little while ago, I had left a comment on some one's blog about her blog button and asked how to make one. Well, Robyn from Daisy Quilts in Australia saw the question. She emailed me and offered to make a button for me!! I was so amazed that she would offer to do this out of the goodness of her heart, but if you know Robyn you know what a sweet heart she is. I emailed her to thank her and she said to let her know if I had a picture in mind for a button. I'm sure you know how things can get...one thing lead to another for me and that was pushed to the back burner. 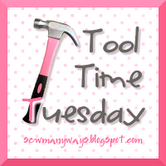 Well, look what I received in an email last week...the CUTEST blog button ever for my Tool Time Tuesdays. I am just busting over how adorable this is. She designed this all on her own...and she wondered if I liked pink and the design. Who wouldn't be in LOVE with this. Robyn, I can't thank you enough for your thoughtfulness and the time you took out of your busy schedule to do this for me. 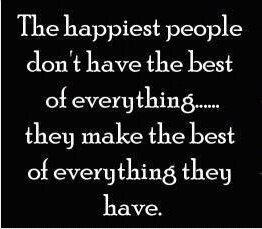 I am forever grateful. Go over and visit Robyn and say hi to her for me! The next task is to figure out how to take the smaller button that she sent me and use it in a post where all of you can grab one and keep it on your side bar on your blog...ahh...I see a post for Wednesday. Here's the button to ooh and aah over until you can have one yourself...isn't she a beauty?! Remember this post about this bucket? Well, I found this great little accessory for it. I think it was about $2.00 - $3.00. It has a collapsible handle , so you can carry it from place to place. Here is the side label. 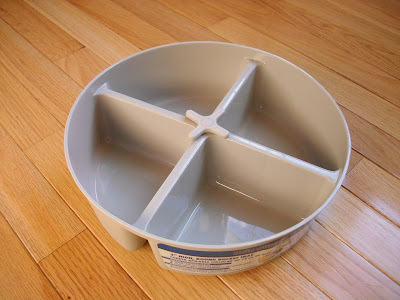 Carpenters and electricians use this for all those little parts to keep them organized. However, quilters and crafters need to be organized too. You can add all your own favorite goodies too. 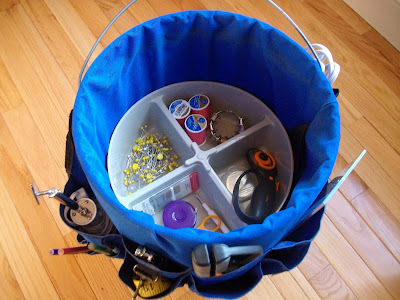 and it fits perfectly inside the 5 gallon bucket that you have packed with all your quilting essentials. So easy to carry everything out when you set up your sewing or when you are off to a class or retreat. Take a look around your favorite hardware store in the 5 gallon bucket aisle...there are all different types of trays and stackable ones too. 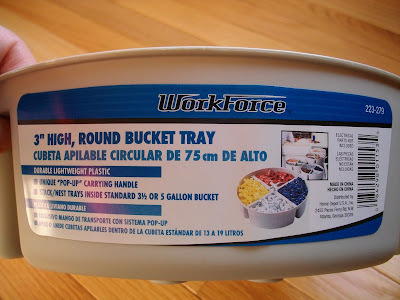 You don't need to have a bucket to use these trays. They are still great to carry your hand sewing from room to room or to keep your sewing needs handy in your sewing room. 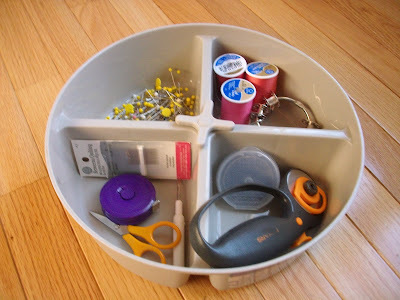 Hope this helps with keeping us all organized and ready to sew at a moments notice!! Have a wonderful Tuesday and hopefully I will see you tomorrow with a Tool Time button you can have for your blog. OH! this button super cute!!! and pink!! 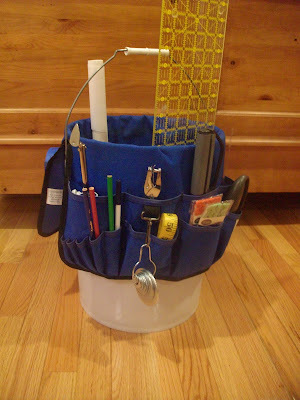 You are so lucky.This bucket is super organizer,too. 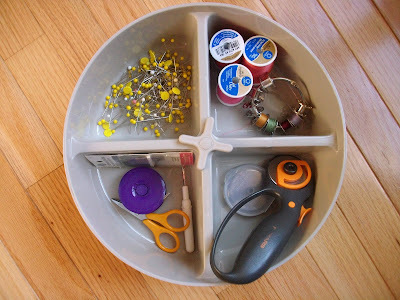 Very cute button, and I love your organizer bucket too! What a great idea! 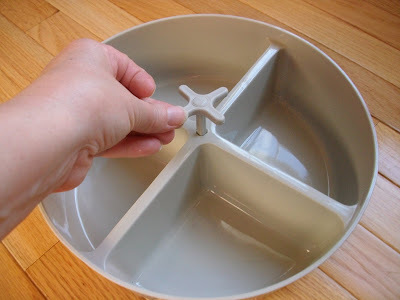 That is a terrific idea with the insert for the bucket! I just love the button too. She did a great job for you. Great organizing ideas Karen! Thank you so much! I love your button, super cute, enjoy! Do you dream these things? :-) Seriously...you come up with some of the best ideas. I love your new blog button. Very pink!!! which is great. So nice of Robyn to make you one. YAY, a button!! I was hoping you would get one so I could put it on my blog!! How wonderful of Robyn to do that! It's just perfect. I think the bucket idea and the insert are great.....if I can only keep it away from Dear Hubby. Maybe if I use the fabric insert as a pattern and make my own....quilted, of course. He wouldn't want to use it! I have a bucket at home and showed the finished bucket to him when you posted that....he thinks we are a bit nuts here in blog land, but loved the idea. I am making him one of those. I just grabbed your button and added it to my sidebar. I needed to find out how every one is putting the little code for people to grab and add it. Do you know? Love the button! I am a notions and tool addict. I guess I'm off to Lowes today, I will explore the bucket aisle.